Ivor Bolton (1976), born 17 May 1958, is an acclaimed conductor and harpsichordist. He is currently Chief Conductor of the Mozarteum Orchestra Salzburg. Ivor studied music at Clare under John Rutter from 1976 to 1980. 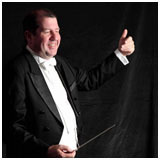 After graduating he spent a year as conducting scholar at the Royal College of Music, before joining Glyndebourne as Assistant Chorus Master and staff conductor (1982-84) He became music director of Glyndebourne Touring Opera (1992-97) and joined the Scottish Chamber Orchestra as Principal Conductor in 1994. Since 2004 Ivor has been Chief Conductor of the Mozarteum Orchestra of Salzburg. He was appointed to the post after working with the orchestra in the Salzburg Festival 2000 and has conducted the orchestra at The Proms, on tours throughout Europe, the Far East and the USA, as well as leading them in many performances in Salzburg over the years. In the orchestral field, Ivor has conducted many of the world's major orchestras, including the Royal Concertgebouw Orchestra Amsterdam, the Montreal Symphony Orchestra, the London Symphony Orchestra, London Philharmonic Orchestra, Rotterdam Philharmonic Orchestra, and the Orchestra of the Accademia Nazionale di Santa Cecilia. He has an extensive recorded output, and in addition to his many recordings with the Mozarteum Orchestra of Salzburg, has conducted commercial recordings of Handel's Theodora from the Salzburg Festival, Mayr's Medea in Corinto from Munich, Janáček's Jenůfa from the Teatro Real Madrid, Cavalli's Ercole amante from the Netherlands Opera, and Mozart's Zaide and La finta giardiniera from Salzburg.